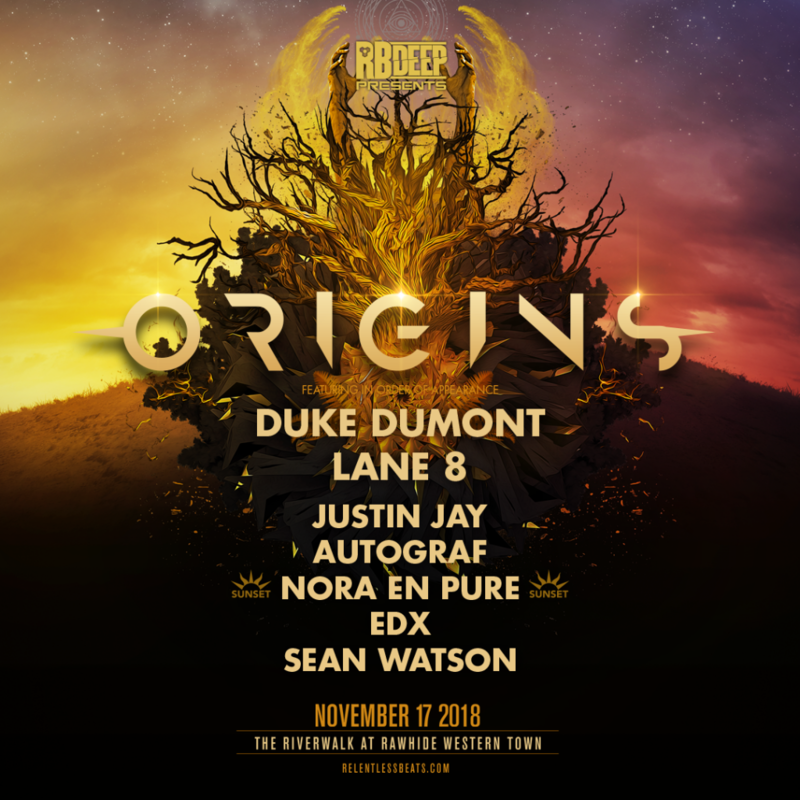 Origins is coming to Phoenix, Arizona on November 17th. After all, this festival is rooted in Relentless Beats’ founder Thomas Turner’s love for underground music. Origins will rise up at The Riverwalk at Rawhide Western Town. Now, this will mark the brand’s first festival-sized event. 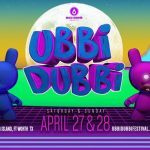 Presented by RBDeep, the debut lineup will feature, Duke Dumont, Lane 8, Justin Jay, Autograf, a special sunset set by Nora En Pure, EDX, Sean Watson, and more. RBDeep is previously known for its club events as well as having presented stages at both Phoenix Lights and Goldrush. The response Relentless Beats received from the RBDeep brand is reflective of the growth in interest of deeper music. This is just the beginning for Origins. General Admission tickets go on sale Friday, October 12, 2018 at 10 a.m. for $39. VIP passes are available starting at $89. VIP tickets include preferred main stage viewing area, restrooms, a commemorative lanyard, and poster. This outdoor event will open doors beginning at 3 p.m. and goes until 11 p.m. Origins is an 18+ event. We can’t wait to see it evolve in the years to come. Will we see you at Origins?! 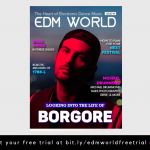 Swipe up to comment below and let me know!